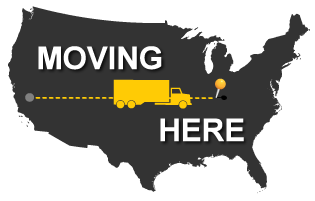 Semonin’s relocation team focuses on individuals and families moving into our area. Do you need a one stop source for all your relocation needs? Needing a helping hand to move into the Greater Louisville, Elizabethtown, Fort Knox or Southern Indiana area? Do you know Semonin helps thousands of families move into our community each year? Semonin Relocation Services serves as a single point of contact for relocating families and corporations into our local communities. We assist with moves across the country or across town by providing counseling when selling your existing home anywhere in the world and purchasing your new home in Kentucky or Southern Indiana. When you move into the Greater Louisville Kentucky and Southern Indiana area, you can count on Semonin Relocation Services to find answers to your questions. We may be able to answer some of your questions from our website. Review the web links below to begin finding answers. If you desire a personal conversation about moving then call 1-800-548-1650 .